Anglophone Cameroon writing... is too little known and much underrated... consequently, much that has been written in English in Cameroon and what has been written about writing in English in Cameroon must have the character of a first encounter with the unseen, a getting to know and shedding of light on a dark spot in the literary development of Africa - Ekhard Breitinger. In 1978, Patrick Sam-Kubam published an article in Abbia (31/33, February 1978, 205-208) in which he lamented about “The paucity of literary creativity in Anglophone Cameroon". In 1997, Juliana Nfah-Abbenyi picked up on the same theme in her seminal book on gender when she also commented about “the paucity of Cameroonian Anglophone writing”. To a certain extent, these two statements, made some two decades apart, reflected and still reflect a reality on the ground. Literature in English speaking Cameroon has not developed at the same pace as other “national” African literatures. 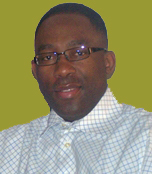 Hemmed in to the east by the more established literature of Francophone Cameroon which produced the Mongo Betis, Ferdinand Oyonos, Patrice Nganangs and Calixthe Beyalas, and to the west by Nigerian literature and its plethora of award winning and world famous writers – Achebe, Soyinka, Osundare, etc. – Cameroon Anglophone literature has been small fish in the pond trying very hard to establish its own unique identity. The plight of this literature is made worse by the fact that it defies any clear classification; is it an extension of Nigerian literature of which it was an integral part until 1961? Is it simply a sub-set of Cameroonian (read Francophone Cameroon) literature? Does it even deserve a category of its own? Even among English-speaking Cameroonians, there is no unanimity on how to describe their literature; Cameroon literature in English? Cameroon Anglophone literature? 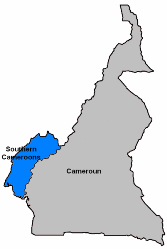 There are those who argue that both of these terms are incorrect because they define that literature through a foreign prism – English language – rather than through a territory, the Southern Cameroons which just happened to have been a UN Trusteeship territory controlled by Britain. When Albert Gerard was editing European Language Writing in Sub-Saharan Africa, Anglophone Cameroon was omitted. In a last ditch effort to save the situation, Stephen Arnold wrote a basic account of Anglophone Cameroon literature titled “Emergent English Writing in Cameroon” and it was included in the collection as an appendix to Nigerian Literature! In the same vein, Richard Bjornson’s seminal work on Cameroon, The African Quest for Freedom and Identity: Cameroonian Writing and the National Experience barely makes mention of writers from Anglophone Cameroon. Although the book is 528 pages and Bjornson’s research references are up to 1988, Bjornson only devotes less than twenty pages to Anglophone Cameroon Literature as a whole. The obstacles to the emergence of a well-established Cameroon Anglophone literature are legion; the dearth of publishing opportunities for Anglophone writers that have incidentally always been available to their Francophone counterparts through state-funded publishers such as Editions Cle; the legacy of being the neglected “colony of a colony” (Nigeria) during the British colonial enterprise; the systemic neglect and marginalization of anything “Anglophone” within the bilingual Cameroon republic; the close to 40-year exclusion from the commonwealth which deprived Anglophone Cameroon writers of those publishing/sponsorship and recognition opportunities which helped propel writers from other Anglophone African writers to fame, etc. So is there really a dearth of literary creativity in Anglophone Cameroon as critics claim or have been claiming since the 1970s? Is Anglophone Cameroon literature truly an underperforming literature that is unable to hold its own against Francophone Cameroon literature and even more so against other “African literatures”? The answer, according to this issue of Palapala magazine, is a resounding NO! The lack of international recognition and the existence of publishing difficulties do not automatically translate into a dearth of literary creativity. A cursory glance at the articles in this issue demonstrates that the critics are still reading from an outdated script. Beneath the veil of literary darkness, beyond the “resounding silence” that the literary world hears East of Bakassi is a third generation literature that is thriving against all odds. In this issue, we will read (and hear) from established Anglophone writers such as playwright Bole Butake and storyteller Makuchi, and from two African literature giants, Niyi Osundare and Chinua Achebe. We will also read from or read about a crop of emerging writers who are slowly but surely putting Anglophone Cameroon back on the literary map. They do not have million-dollar contracts with the major publishing conglomerates and they have not yet won any major literary awards; in fact, many of them are self-published. But they are producing works of great, if not exceptional, quality, which will sooner rather than later register on the radar of the literary world. Among these emerging writers are amazing talents such as Rosemary Ekosso, whose debut novel, House of Falling Women, has received critical acclaim; the award-winning novelist Dipita Kwa who honed his craft under the guidance of another Cameroonian literary giant, Mbella Sonne Dipoko; poet/playwright, Lloney Monono, author of Dance of Scorpions, whose poetry has been described as being among the finest to come out of Anglophone Cameroon in decades; the yet unpublished but highly talented Donna Forbin whose short stories and poems are a pointer to greater things to come; the passionate Bernice Angoh who shows us that good African poetry can be non-militant and non-political; Francis Nyamnjoh, arguably the most prolific Anglophone novelist in the past decade, whose novel Souls Forgotten can hold its own against any African classic, etc. This is merely the tip of the iceberg of the ongoing Anglophone Cameroon literary renaissance at home and in the Diaspora. Yes indeed, behind the wall of silence is a buoyant and thriving literature impatiently waiting for the world to discover its depth, diversity and beauty. While waiting for that time to come, please join Palapala in this journey of discovery as it lifts that veil take a quick peek at what lies beneath. Here then is a toast to “Cameroon Anglophone literature”, “Cameroon literature in English”, “Southern Cameroons literature” or whatever you wish to call the literature of the marginalized but resilient people who live to the EAST OF BAKASSI. For a bird’s eye view on the state of Cameroon Literature in English today, check out the blog on Cameroon Literature in English. Thank you for posting. I will read Makuchi's Your Madness Not Mine as my first Cameroon literature. I like the sound of Ekosso's novel. I will try that next.